Our main office at I-81 Exit 5 in Bristol, Virginia is a 1,100-square-foot has room for teaching 42 students in comfort with the latest technology. Located in a modern strip mall, parking is not an issue, in fact, there’s plenty of room to practice parking! 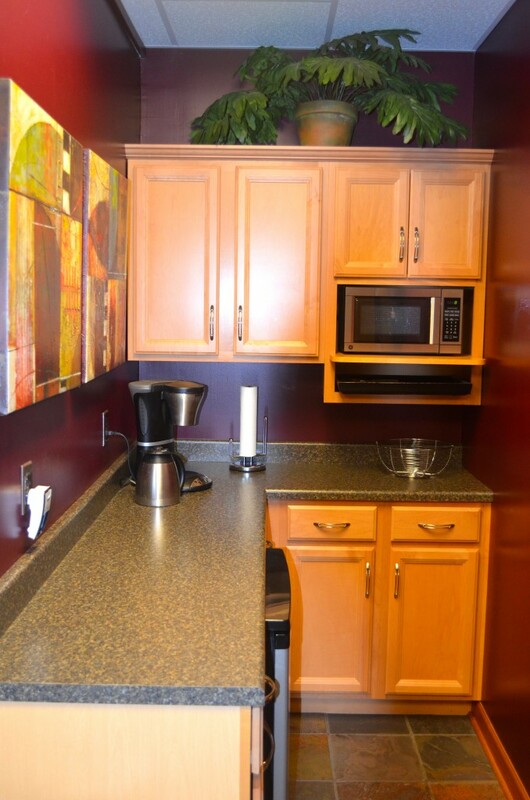 We have a second location at 1113 N Eastman Road, Kingsport, Tennessee. 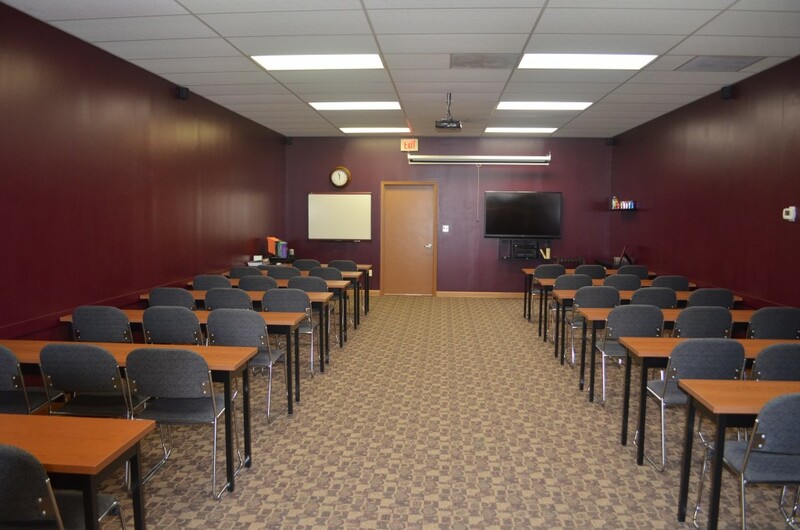 Both offices have been professionally designed for learning environments–In Bristol, an inviting waiting room of brown shades on the floor tile, walls and couches, and subtle plum walls in the carpeted classroom to focus attention on the teacher or instructional video. 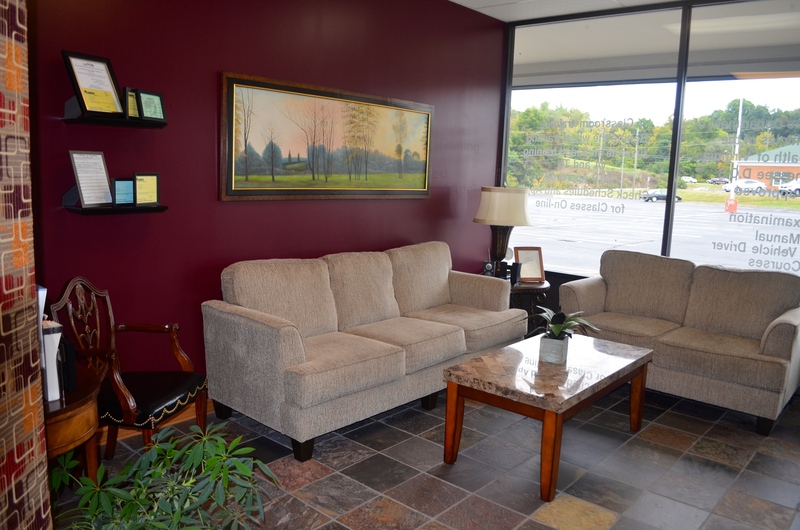 Our office in Kingsport, offers orange and gray tones. Students are seated three abreast in cloth-padded chairs behind a conference-style desk. Two rows are against the walls allowing plenty of space in the center of the classroom. The carpeted floors absorb any excessive noise, and the environment is heated or cooled for maximum comfort anytime of year. Our instructional materials go beyond the appropriate manuals and include a state-or-the-art digital projection equipment in the ceiling to a 64-inch plasma television for videos and computers. All of our instructors have their own iPad computers that are loaded with instructional videos for on-the-spot demonstration about actual driving situations–whether in the classroom or on the road.